Grim Tales: Bloody Mary Collector's Edition is a newly released hidden object puzzle adventure game with a story like one of those that kids tell to each other during sleep-overs. But the other parts of the game are performed on quite a high level, so adults will be more than pleased with the game. 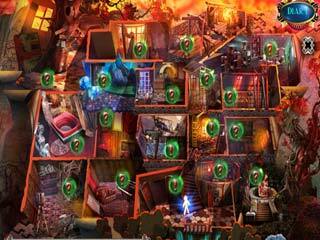 There'a a balance in the gameplay between the hidden object scenes and mini-games. Your niece and you are the main characters of the game. The story begins with a call that you get from her asking to pick her up from the boarding school she's at. Strange things are happening both with the teachers and the students. Soon you find yourself in the middle of this whole mysterious mess. The scenes that you get to visit are just gorgeous. The colors and the animated parts create very beautiful yet creepy locations whether inside or outside. There are vioce overs are really nice too adding a lot to the perception of the characters. 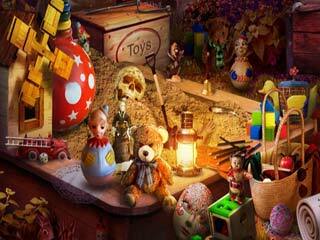 There'a a balance in the gameplay between the hidden object scenes and mini-games. The hidden object searches are interactive and relevant to the story, location, and time. The mini-games are fun to run into. Some of them seem to be new. They are different in their challenge level. And that is not all to think about as you go through the game. You need to be looking for collectibles and striving for achievements and making your way to the end to enjoy the bonus content. The game really seems to have all that is necessary for it to be a CE and a great HOPA game. Enjoy this horror story as you explore a school full of demonic activity. This is Grim Tales: Bloody Mary review. Download this game here.